HERE is 2:24 of complete and utter awesome! 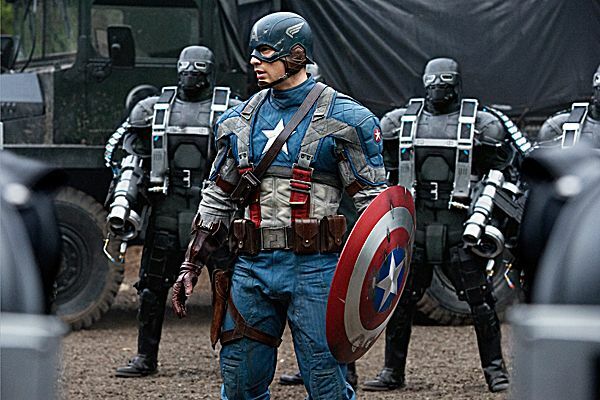 With each trailer that is released, this movie becomes more and more epic! It looks like this goes all out: everything's exploding, everybody's fighting each other, everything's exploding some more! This is definitely going to be an edge of your seat, thousand mph action flick! It looks great. 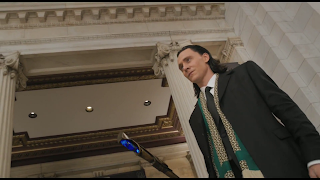 I'm not too familiar with Thor and his universe, but Loki looks great. I'm really excited for him to be the villain in this. He's classy looking but still menacing. He even has a pimp cane! He just seems like the guy who can outsmart the good guys. He appears ruthless. Loki just doesn't seem like the kind of guy you would want to mess with. I'm sorry to say this, but the new costume just looks silly. Having his neck covered looks dorky. It looks like a "costume". 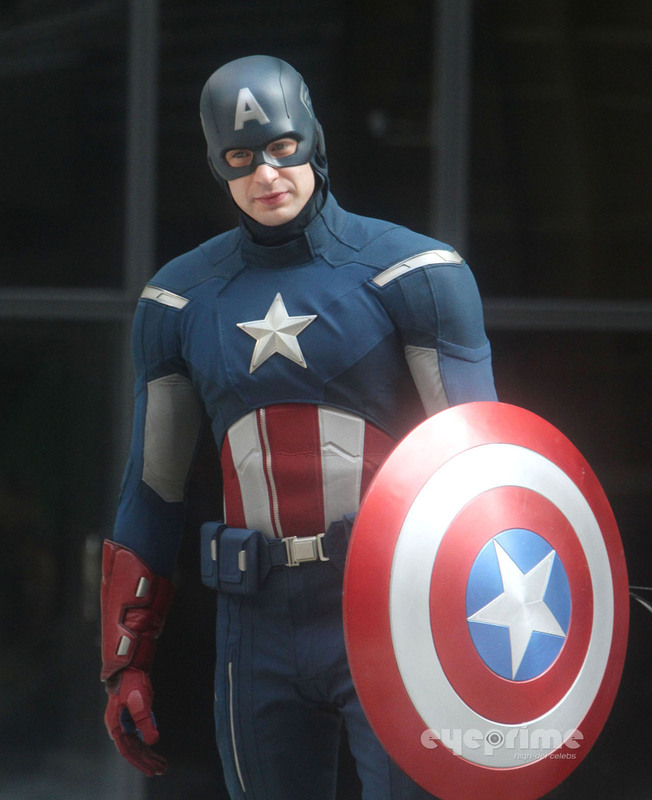 On the other hand, the one from Captain America looks like a uniform; it looks practical. The top one looks like something you would where to a party whereas the bottom looks like something you would wear into combat. I don't know why they feel the need to change everything all the time. They should just stop. Finally, what is the thing at the end? It looks like something left over from a Transformers movie or something. Then again, I'm not familiar with the comics, so it could be something canonical. But to me, it looks like they are trying to jump on the Transformers bandwagon. Oh, one last thing. Why does Nick Fury have a bluetooth? Actually, one more thing, Jeremy Jahns, does a pretty good job of reviewing the trailer as well on his YouTube channel. Though the trailer says 26 April, it doesn't come out til 4 May in the US. Sad day.